Welcome to the Bal Du Moulin Rouge! Let go, unload and unwind into a fun night of food, drinks, entertainment and memories. Doors open at 6pm with a cocktail hour. 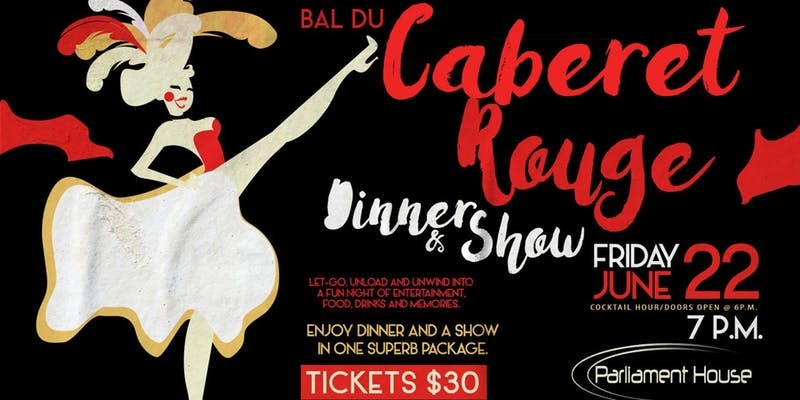 Enjoy dinner and a superb show for only $30 per person for the entire package. No refunds after purchase. 18+ welcome.